Laws made in Parliament have a head and a heart. The head mulls over the principles behind an issue and makes calculations logically and dispassionately, often based on statistics. It looks for the human face of a problem, and asks what the impact is on the lives of real families and individuals - not just in easily quantifiable terms, but also emotionally and in terms of overall well-being. At yesterday's parliamentary sitting, laws in three areas were discussed, and it was, well, heartening to note that the "heart" came out quite strongly among the various considerations - even as solutions were grounded in reason. The first was family justice law. Responding to questions about reforms in this area, Senior Minister of State for Law Indranee Rajah stressed that the current approach is to persuade divorcing couples that their goal is not to get back at each other or to win the maximum amount of money. It is, instead, to disentangle their lives as painlessly as possible and to minimise any adverse impact on their children. As someone who practised law, Ms Rajah was able to see the human realities in this issue. She told a story of a divorce case she encountered in her practice: A mother was awarded custody of the children, and the father was given telephone access to them. But the mother did not allow them to take these calls in the sitting room. Instead, when talking to their father, they were banished to the kitchen balcony, where the washing and drying of laundry takes place, "so that in their minds ... it's not a normal family activity, and it feels a bit like punishment", said Ms Rajah. Lawyers must be trained to advise their clients to avoid such situations, she said. She also noted other reforms designed to forge better outcomes. One is the appointment by the court of someone to represent the child's interest if it is deemed necessary - for example, when there is much conflict over child arrangements. Another is judges directing proceedings more, so that they can intervene to reduce acrimony. "This is an improvement over the previous purely adversarial approach towards resolving family disputes," she said. The second law with more "heart" was the Central Provident Fund (CPF) Act, amended yesterday to enable more Singaporeans to top up the retirement accounts of their parents and grandparents. The minimum sum before such transfers are allowed will now include CPF monies used to buy property. Previously, property payments were not included. The change means that 340,000 more members will be eligible to make such transfers. The move acknowledges the ground reality that while many younger Singaporeans might be willing to contribute to the retirement of their elderly folk, many of them may be low on cash due to mortgage, household and child-related expenses. Allowing housing payments to count makes it easier for them to balance two important life priorities - responsibility to their older family members, and responsibility to themselves. Mr Louis Ng (Nee Soon GRC) hailed the move as affirming "the core value of filial piety". He said: "As we debate the specifics and technicalities of legislation in Parliament, I believe it is important to highlight and reinforce the fundamental values we stand for as a community, like filial piety, and how this can be expressed through the legislation we pass." Mr Ng also called for the change to apply to parents-in-law and grandparents-in-law. Transfers to these in-laws are now allowed, but only if the minimum sum excluding property paymentis met. 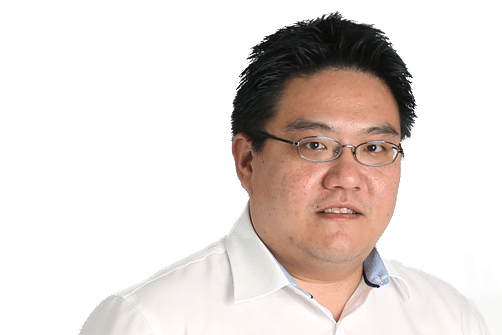 His suggestion was not accepted by Second Manpower Minister Josephine Teo, who said this would risk upsetting the balance and leaving too little for the contributor's own retirement. The third law that paid heed to the "heart" was the Moneylenders Amendment Bill, tabled yesterday. It will be debated more fully later. If passed, the cap on how much someone can borrow from licensed moneylenders will apply to the sum of all loans that person has taken. Currently, the cap applies only to loans with a single moneylender. That means that even after a borrower hits the cap with one lender, he can borrow more from other lenders. But this would be ignoring, again, human realities. Incessant borrowers have, in some cases, lost hold of their lives - perhaps as a result of gambling, or some other addictive habit. Allowing the borrowing to go on indefinitely is likely to have very harmful consequences on his family. In the august chamber, away from crowds, it may be tempting to make debates all about abstract ideas and philosophies. But front and backbenchers showed yesterday that they understood how legislation affected the lives of ordinary people. And they hence chose to put not just their minds but also their hearts into the complex business of lawmaking.